Enter the Big Smiles, No Miles Pick Your Staycation Sweepstakes here! , and plan your own staycation in Monterey County! One grand prize winner will win the staycation they selected. Click on this link to read all the fine-print rules and regulations. Good luck! Wine & Dine Staycation Take your sweetie (or favorite dining pal) on a wine and food journey to remember! 6 PM: Arrive at Bernardus Lodge, located in the center of Carmel Valley&apos;s fine wineries and home of the Mobil four-star Marinus Restaurant, for a two-night stay. 7:30PM Sustainable seafood, fresh local ingredients, and an award-winning wine list combine for an exceptional dinner at Passionfish in Pacific Grove DAY TWO Don&apos;t worry about driving today - we&apos;ll take care of it for you! On Waking Your well-deserved breakfast in bed will be delivered from Wickets Bistro at Bernardus Lodge. 10:30AM Indulge with a cheese tasting at the Carmel Plaza’s Cheese Shop. Noon Continue your culinary adventure with lunch at Casanova Restaurant, home of Van Gogh&apos;s Table, whose hand-dug wine cellar has received the Wine Spectator Grand Award. 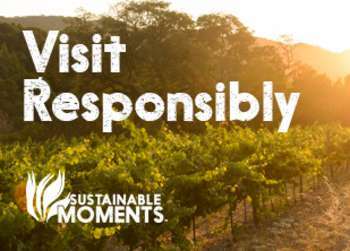 2PM Learn more about Carmel Valley&apos;s food and wine with Ag Venture Tours. Your experience will start with a visit to Earthbound Farm, the world&apos;s largest grower of organic produce. You&apos;ll then visit three Carmel Valley wineries, and get some behind-the-scenes peeks at the art and craft behind the beverage you&apos;re tasting. 7:30PM No gustatory exploration of Monterey County would be complete without dinner at the Post Ranch Inn’s famous Sierra Mar Restaurant, where the view of the Pacific Ocean and Big Sur coastline is as breathtaking as the food. DAY THREE Complete your foodie vacation with an al fresco Sunday brunch overlooking Carmel Highlands at The Highlands Inn&apos;s California Market restaurant. Golf Foursome Staycation It&apos;s a weekend of fairway fun for you and the rest of your foursome. DAY ONE 6PM For your golf getaway, you&apos;ll overlook where golf on the peninsula began. Arrive at the Hyatt Regency Monterey Hotel & Spa on the historic Del Monte Golf Course for a two night stay. 7PM Hoist a beer and eat some lip-smackin&apos; ribs with the gang at Willy’s Smokehouse, in the historic Booth Warehouse in Monterey&apos;s bustling Cannery Row neighborhood. DAY TWO Watch the sun rise over the Del Monte Golf Course while you gas up for a packed day on the links at the Hyatt Regency’s TusCA Ristorante. 8AM Brush up on your game with a lesson at the Pebble Beach Golf Academy, located at the world-famous Pebble Beach Golf Links. This lesson includes video analysis of your swing and tips on your short game. Noon Enjoy lunch in the middle of golf history while you get a great view of The Links at Spanish Bay at Sticks Bar and Grill, located at The Inn at Spanish Bay. 1PM It&apos;s time for your foursome to yell "Fore!" at the legendary Poppy Hills Golf Course, located at Pebble Beach. Find out why Poppy Hills has a 4 1/2 star rating from Golf Digest, and is on Golfworld&apos;s list of Top 50 golf courses. 7PM Replenish all those calories you walked off on the golf course with a rustic Italian dinner at Cantinetta Luca in Carmel-by-the-Sea. DAY THREE 8AM Rise and shine with another tasty breakfast at TusCA Ristorante. 9:30AM Golf on a course that was once limited to members of the military. Bayonet & Black Horse Golf Courses is a championship golf course with challenging holes and a spectacular view of Monterey Bay. Family Fun Staycation Mom, Dad and the kids deserve a weekend of fun! This staycation gives two adults and two children a weekend full of great times. DAY ONE 6PM A family vacation demands a family-friendly hotel, like Monterey&apos;s Intercontinental The Clement on Cannery Row, where you&apos;ll arrive for a two night stay. 7PM Rosine’s Restaurant in Old Monterey is a family-run restaurant with a wide-ranging menu that knows how to give your family a great dining experience. DAY TWO 8:30AM Breakfast at Toasties Cafe, conveniently located just steps from the Recreation Trail, is a Pacific Grove family tradition. 10:30AM Explore the coastline on wheels via the Recreation Trail with a surrey rental from Adventures by the Sea at Lover&apos;s Point. A surrey is a four-wheel, multi-seat pedal vehicle that the whole family can enjoy. If your children are feeling independent, you can choose bicycles instead. Noon Pick a spot along the coastline and have a delicious picnic lunch from Wild Thyme Deli & Cafe. 1PM Take a short drive for a &apos;round the world animal safari with a tour at Salinas Valley&apos;s Wild Things Animal Ranch, home to lions, tigers, bears, elephants, and many other animals. 6PM Carmel&apos;s Forge in the Forest will make any kid say, "Cool!" Eat outdoors by the fire pit; the menu has plenty of selections to please even the pickiest child&apos;s palate. DAY THREE 8:30 AM Eat a delicious, stick-to-your-ribs breakfast at the Trailside Café, just off Cannery Row, overlooking Monterey Bay. 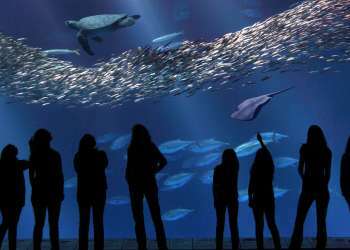 9:30 AM Experience the Monterey Bay Aquarium on Cannery Row as only the insiders get to see it, with a behind-the-scenes tour!